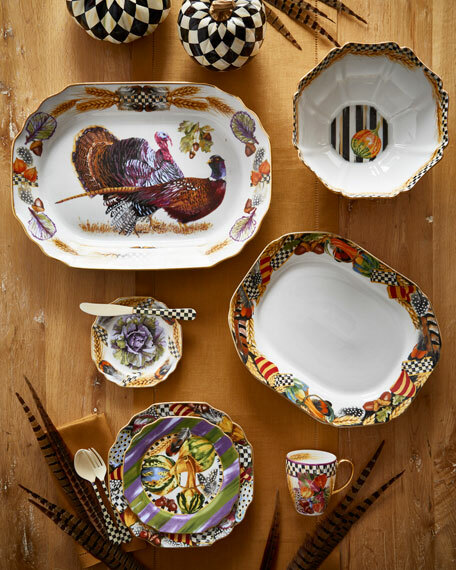 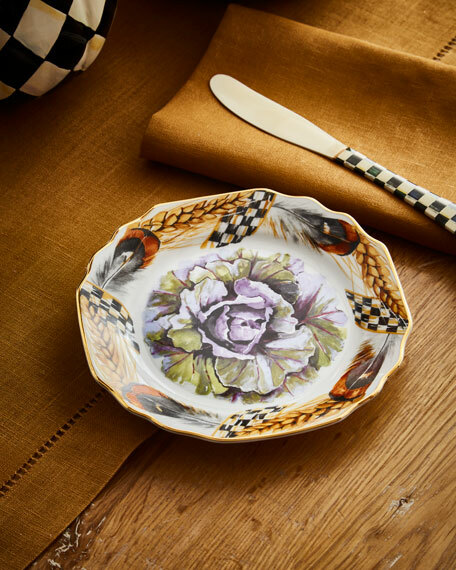 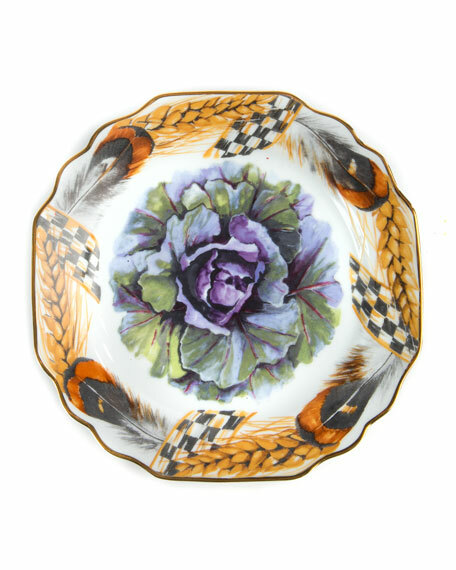 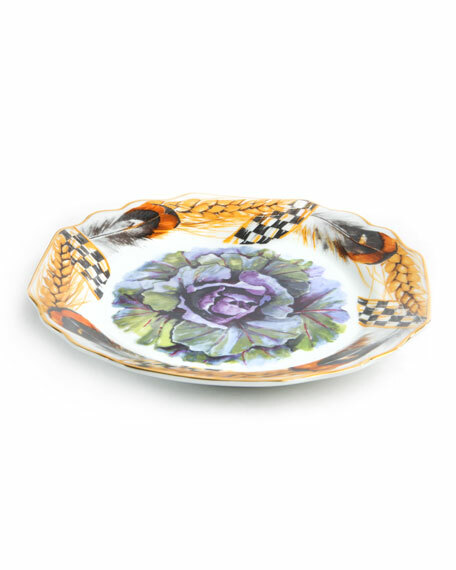 Handcrafted porcelain bread and butter plate. 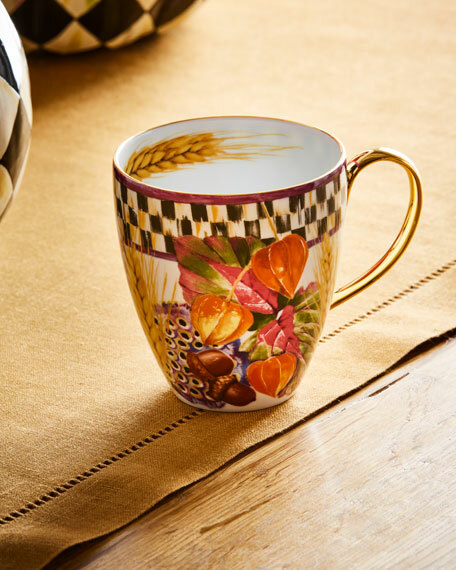 Hand-applied transfer decoration and gold luster band. 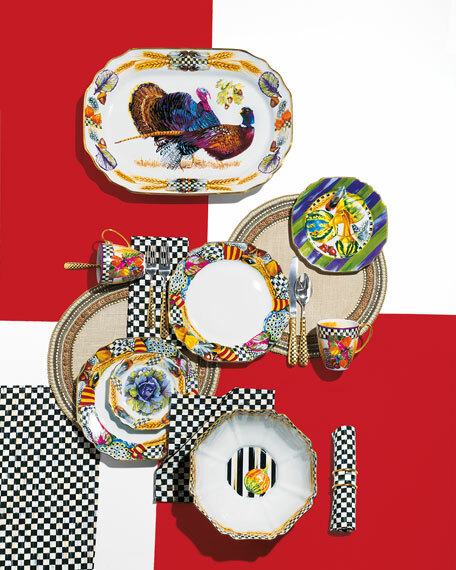 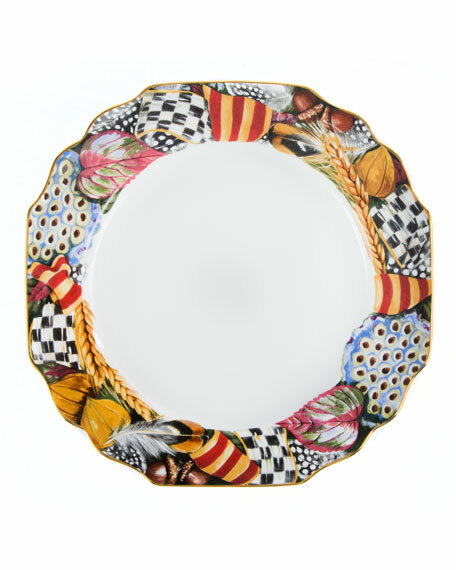 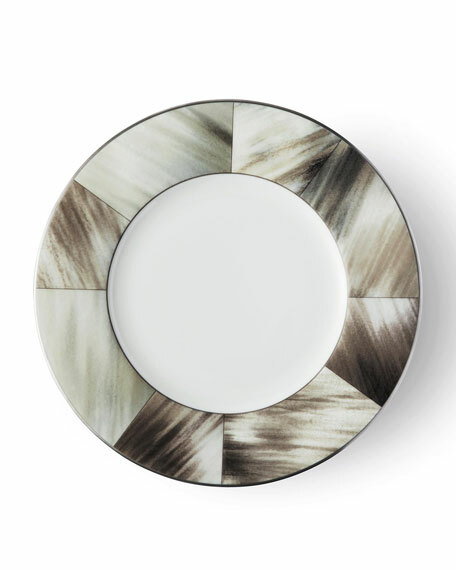 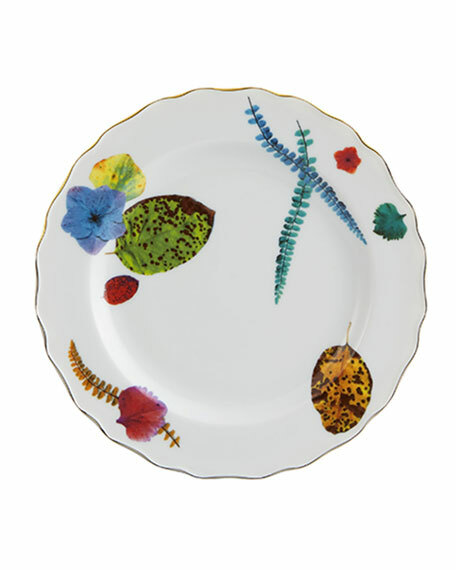 Striped watercolor pattern inspired by iconic Christian Lacroix hand-painted dresses.Porcelain bread and butter plate.Hand decorated with 24-kt. 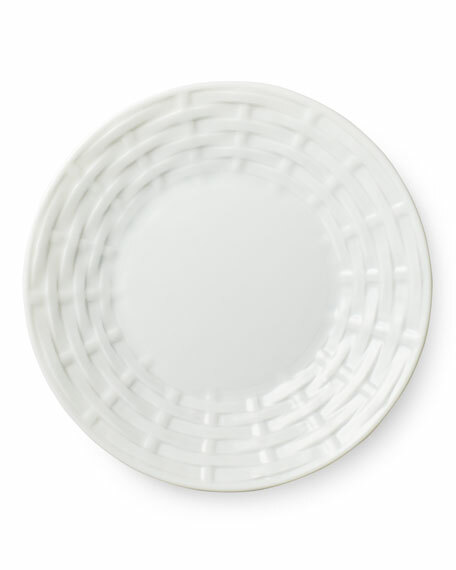 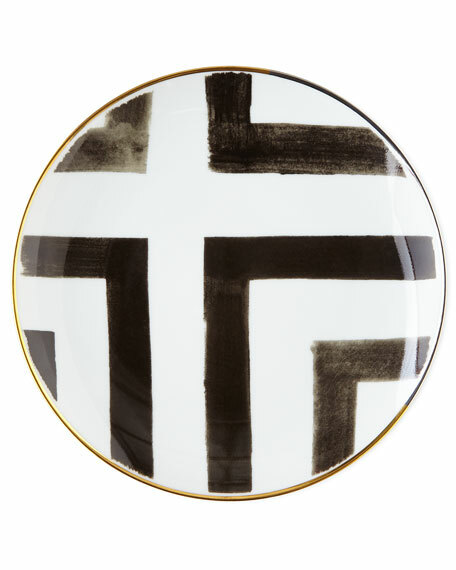 gold and platinum.Dishwasher safe; hand washing recommended.7.75"Dia.Made in Portugal. 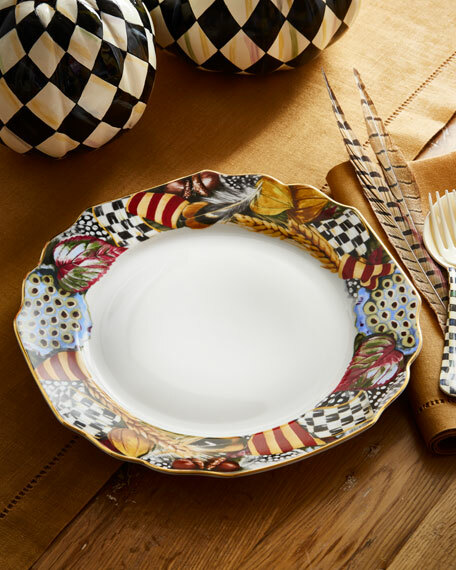 Designed with an elegant horn-inspired pattern, the enchanting Gwyneth collection is crafted from beautiful bone china and finished with a glimmering painted platinum trim.